An analysis in a British newspaper concluded last week that “nothing will change” in the Israel-Gaza conflict, when airstrikes and rocket fire finally give way to a cease-fire. 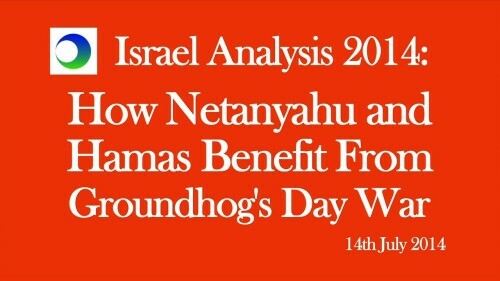 So if Netanyahu wins and Hamas wins, who loses? But who really cares about the Gazan people? They don’t really help Benjamin Netanyahu stay in power and they’re not really necessary for Hamas to stay in power. So we go into a Groundhog’s Day conflict. Again and again, we poke our heads up, notice airstrikes, and rockets, and go inside again. Because nothing will be resolved.